Shipping now from our USA, EU & NZ warehouses. Please note that this product contains only the diorama - any figures shown are available separately. Earn 7.45 Weta Dollars! What's this? 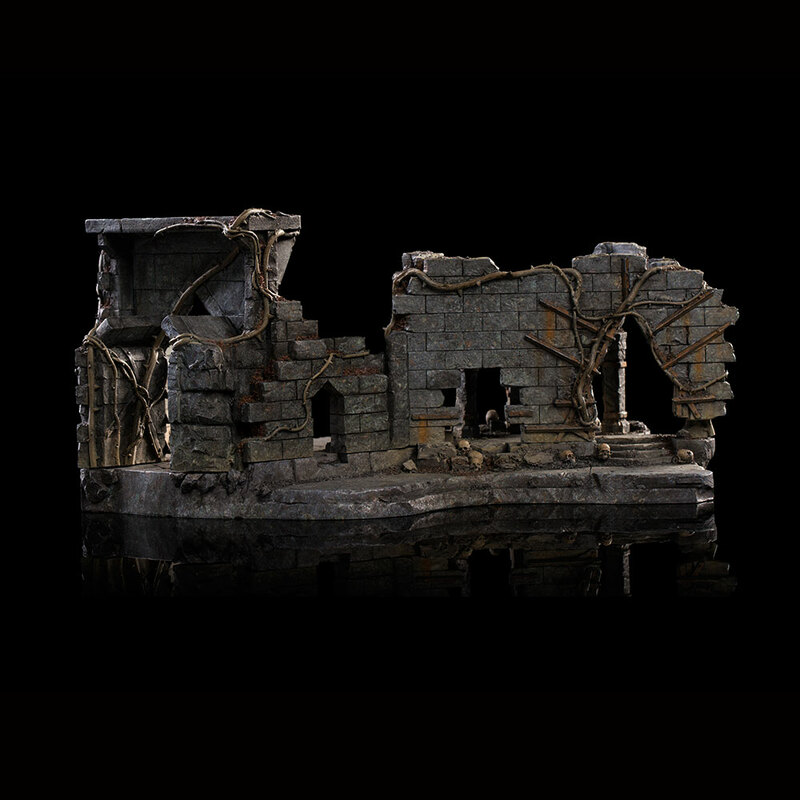 Deep within the ruins of Dol Guldur, spells of concealment hide a dark secret. Within the maze of gloom and thorns a grim courtyard lies, where the shadowy Necromancer summons forth the mightiest of his fell servants. Adding to the previously launched Palantír Courtyard, you can now get the South Courtyard as well. 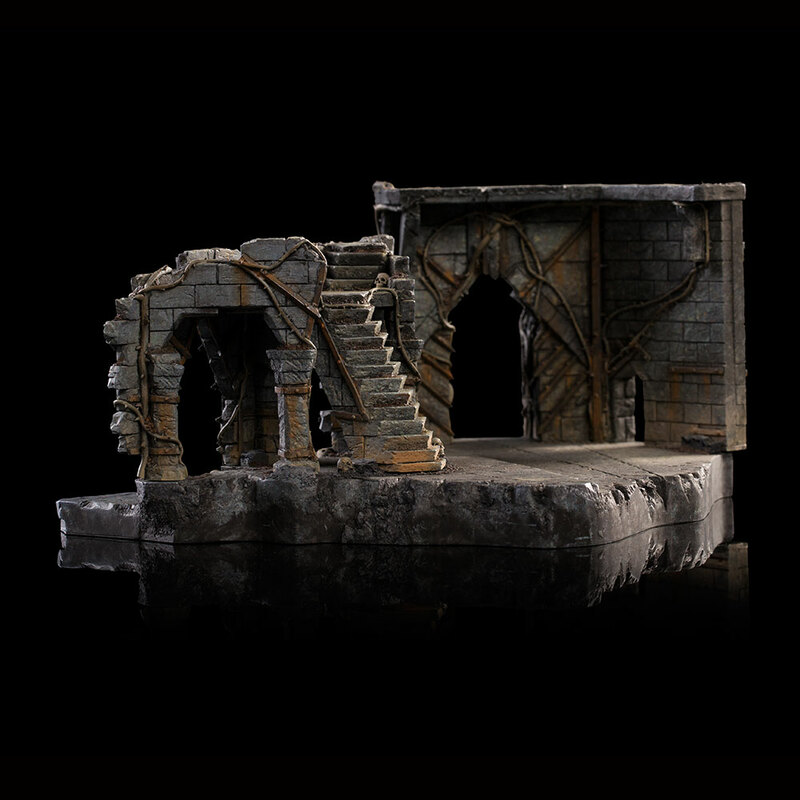 After a lot of debate we decided that the first scene we’d do at 1:30 scale would be the Dol Guldur scene from The Hobbit. This is a great scene because you have so many of Middle-earth’s big heavy-hitters in it: you’ve got elves, you’ve got the Istari, you’ve got Sauron and you’ve got Ringwraiths. 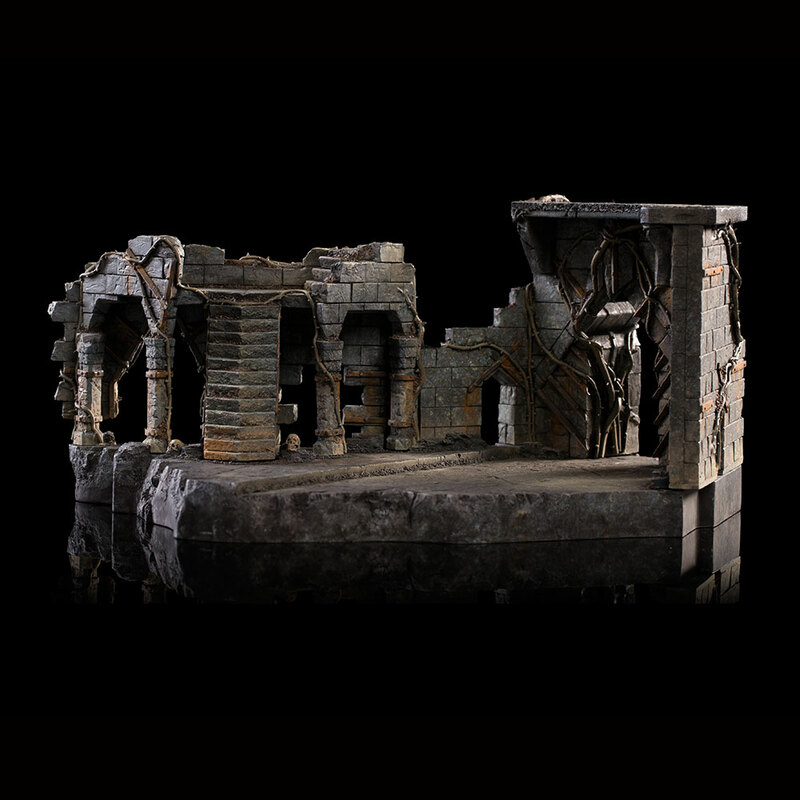 Weta Workshop has developed its 1:30 scale range with accessibility for the collector in mind. Rather than one large bespoke piece, each scene fits together as a series of modular elements that can be built up over time. Collectors can then place miniature characters within the scene in limitless configurations. The environments are available in a Limited Edition of 500 each. Add to your set with more characters and environment pieces! All the figures in this series are Open Edition. New figures and diorama sections released regularly. Collect the whole scene! 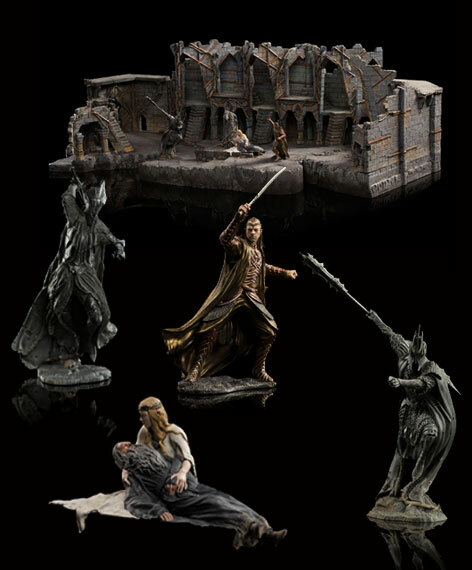 Created by the same artists and technicians who have worked on The Hobbit motion picture trilogy, Weta Workshop’s 1:30 Scale Collection is only just beginning. 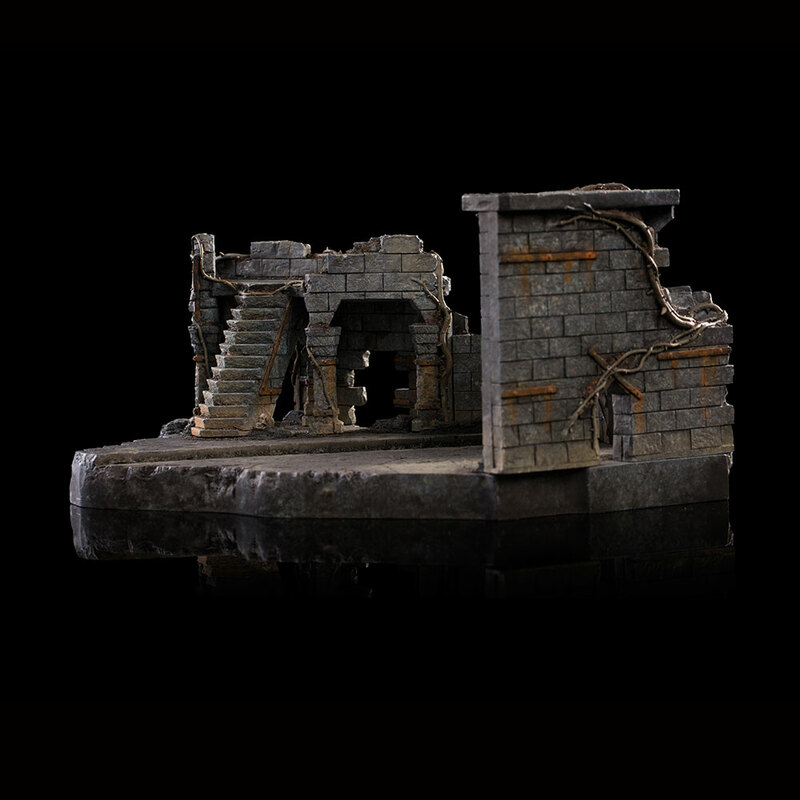 Keep an eye out for new figures and environments coming soon.